Stampers!! HELLO!!! 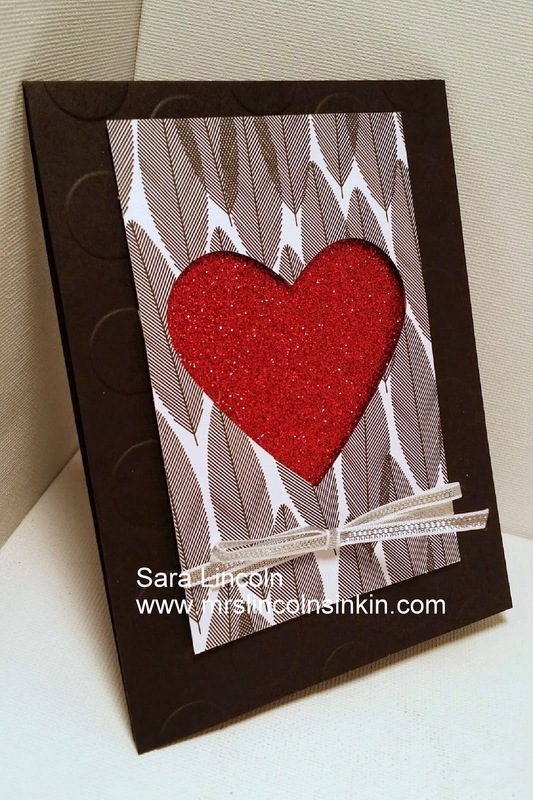 Welcome to Mrs. Lincoln's Inkin' and today's simple masculine Valentines Day card. Valentines for me is always the hardest holiday card to come up with... with my hubby, i don't want to make anything that is too "girly" with lots of pinks and reds... you know the typical Valentines Day colors. So i find myself always heading towards black and reds. Which are two colors that I think go really well together. But like they say, everything goes with Black right??? The base of my card is using the Basic Black and is cut at average size of 4 1/4" x 11", scored at 5 1/2". I then cut an additional piece of Basic Black cut at 4 1/4" x 5 1/2" and then ran that through my Big Shot using the Polka Dot Textured Embossing Folder. 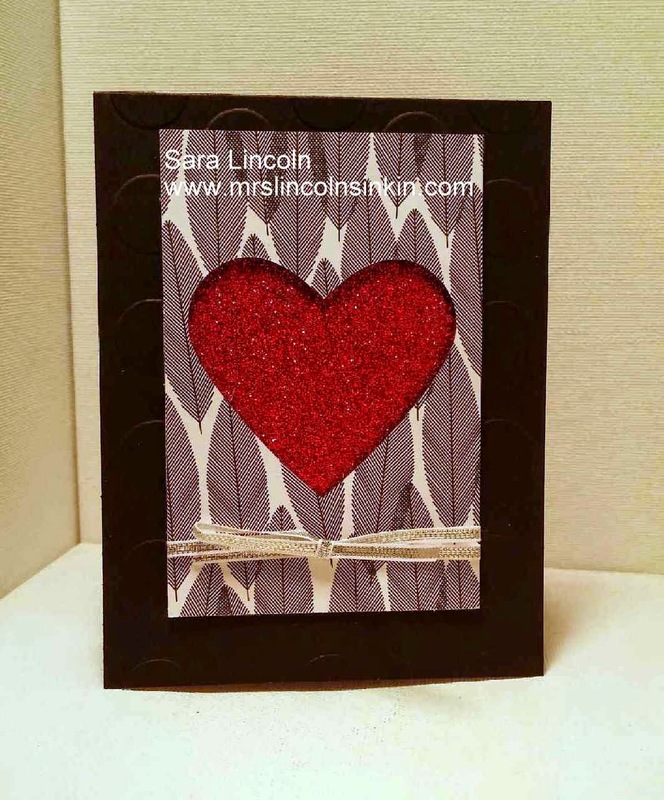 I then took a piece of the Back to Black DSP and cut a heart out of it using the Hearts Framelits and backed the cut out image with the Cherry Cobbler Glitter Paper. The item that I am showcasing today is going to be the Polka Dot Textured Embossing Folder and the Big Shot.